The customer is asked to familiarise themselves with the information in this document before purchasing an item from Mamamokum Handwoven. This document will be linked in sales posts, draw forms, PayPal invoice, and other sales forms. By participating in a draw / auction / other sales form the customer is bound to agree with the information in this document. 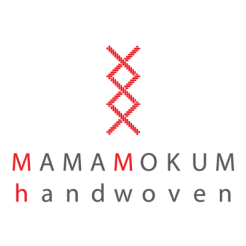 - Mamamokum Handwoven may not ship items to the United States or Russia. - All Mamamokum Handwoven’s wraps will be sent as traceable packages, insured for the full amount. - Mamamokum Handwoven is not responsible for any customs or duty fees incurred; these fees are solely the responsibility of the customer. - Mamamokum Handwoven is bound to declaring the full value of the package on the customs declaration form, to lower the value is to commit postal fraud and we retain the right to cancel the sale if the customer insists on a lower price being declared. - If an insurance claim is filed for a damaged or lost package, a refund will be issued to the customer AFTER the insurance claim is paid out to Mamamokum Handwoven by the shipping company. - Mamamokum Handwoven’s sales price to the EU is inclusive of 21% VAT (value added tax). If the customer is not a resident of the EU, this tax will be excluded. Both prices will be clearly stated in the sales posts. - The customer is responsible for making sure they have understood the price of an item correctly. - All non-custom purchases are subject to a 14-day cancellation period, within which the consumer may cancel the purchase for whichever reason. This may be done by messaging the Mamamokum Handwoven FB page or via e-mail. The 14-day cancellation period begins upon receipt of the goods ordered. - In the case of a cancelled purchase, in order to retain the right to receive a full refund of the amount paid, the consumer must keep the received goods in an unchanged condition. The customer may open the package and examine the item in order to verify the features and functionality of the item. Any returnable item must however be in the same condition as sent by Mamamokum Handwoven (i.e. unused). - All shipping fees are nonrefundable for returns, with shipping and any fees associated being the full responsibility of the customer. - If there is a clear flaw in the product, it will be automatically returnable or refundable even after the 14 day period (please refer to what constitutes a flaw or a quirk as outlined below in point 8. Notes on our process and general handwoven characteristics). - If a cancellation takes place, Mamamokum Handwoven will refund the price of the item once the returned goods have been received back at HQ by Mamamokum Handwoven. - The 14-day cancellation right does not apply to products manufactured or modified according to the consumer’s wishes or otherwise clearly made to correspond to the consumer’s individual needs. Custom or semi-custom work is therefore not returnable. Semi-custom or custom work may be returnable only if there is a clear flaw in the product (please refer to what constitutes a flaw or a quirk as outlined below in point 8. Notes on our process and general handwoven characteristics). - The customer has 5 days to inspect a semi-custom or custom item and report any clear flaws. After 5 days of delivery the item is deemed accepted and refund requests will not be entered into. Any unpaid invoices without discussion will result in removal from the Mamamokum Handwoven’s chatter group. An unpaid invoice will result in the customer losing their opportunity to purchase items from Mamamokum Handwoven in the future. All designs and photos created by Mamamokum Handwoven are the sole intellectual property of Mamamokum Handwoven. They may not be used, copied or duplicated without permission from Mamamokum Handwoven beforehand. If you would like to use one of Mamamokum Handwoven pictures, please contact us to ask for permission. It is the customer's responsibility to make sure they know how to wrap their child safely. Mamamokum Handwoven accepts no liability for the possible misuse of Mamamokum Handwoven wraps. The wraps are produced entirely by myself, in house. I undertake the designing, measuring, warping and weaving processes. I often dye fibres, and sometimes commission fibre artists for custom dye work. A professional seamstress completes the finishing work for me. Wraps include care instructions that must be carefully followed according to blend. If the care instructions are not followed, Mamamokum Handwoven is waived of any responsibility. Once off the loom the wraps are inspected, any faults repaired, and wet finished. By the time they reach you they are shrunk to size and ready to be worn having been washed and ironed. I measure with soft tape in hand. During the dye process, I rinse yarn until the water is clear of any colour. Once woven, the wrap is washed again. However, when a wrap is washed for the first few times, you can expect the water to discolour. Washing in cold water is advised to minimize this but you still may experience this. Don’t be alarmed, this is normal, and can be seen in commercially produced Machine Woven wraps and even clothing such as jeans for example. Raw selvages can be straight, or scalloped, depending on the draft and our selvages are mostly unhemmed. However, in more complex structures, or in the event of a wrap containing frequent structural changes or many weft colour changes, they may be hemmed as it is not possible to produce clean selvages in those cases. Normal handwoven characteristics that are NOT flaws or faults: In the fabric you will find bobbin changes. This is an overlap of the weft yarn for about 5 cm. These changes are kept to a similar colour in the warp, to help minimise them, but they may be visible. Any weavers knots found on the cone are removed during the measuring process. Sometimes one or two will slip by and these are remove on the loom. The repairs look just like bobbin changes but are along the warp instead. Occasionally a knot might escape detection. Some of the weaving may include faint weft lines, again these are cosmetic only and won’t harm the integrity of the fabric. Many Mamamokum Handwoven wraps feature supplementary warp and or weft ends. These pieces of yarn are not intrinsic to the structure of the wrap as they are extra threads. As with bobbin changes and knot repairs, with wear, you may notice little ends popping out, this is normal and you can either tuck the ends back into the weaving, or carefully snip them off. Faults: Once off the loom wraps are carefully inspected and any repairs made - missed knots, skips, mistreadling or other flaws found. Sometimes it is structurally and cosmetically viable to leave the flaws as they are, but these will always be disclosed. Photography: The photos I post in the MMH Chatter group and on the MMH business page are only colour corrected to resemble the wraps as closely as possible. On Instagram filters are freely used. Mamamokum Handwoven wraps are made with all the love, care and attention to detail possible. They are however, handwoven – woven by hand – hand made. Lots of education and geekery as to what the definition of a ‘fault’ is, versus which characteristics can be inherently found in a handwoven piece, can be found in the Loom to Wrap group. Although all care is taken, during the process a flaw may be missed. If you have found something that looks strange to you, and you are not sure what it is, please contact us directly so that we can discuss it and find a solution together. Happy babywearing and keep them close!